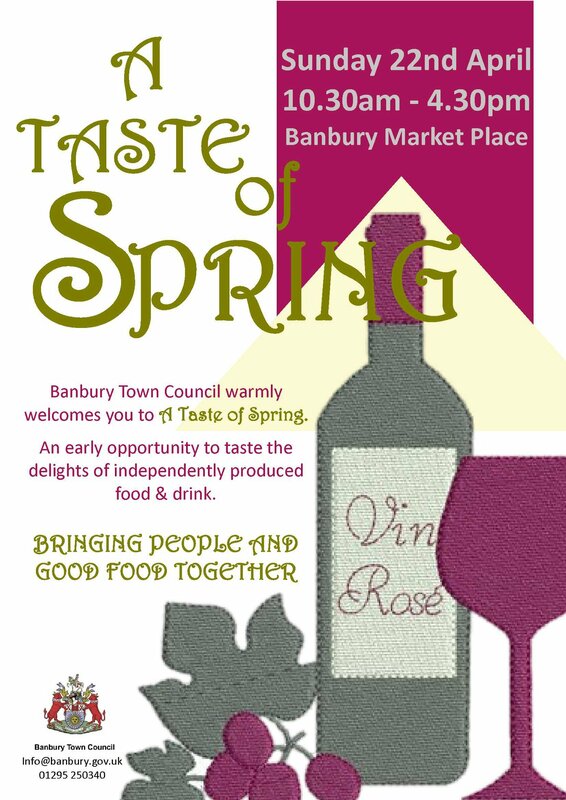 From 7:00pm on Saturday 21st April to 8:00pm on Sunday 22nd April, the Market Place Road (from Banbury Town Hall junction) and Car Park will be closed for the ‘A Taste of Spring’ event. The St.Georges Day Parade also takes place on Sunday 22nd April. Leaving the Bandstand at 2:30pm and return, following a church service in St. Mary’s Church, Banbury, around 3.45pm. Please note rolling road closures will take place in the areas of High Street, Banbury Cross and North Bar, for a short duration, to allow the parade to pass.